You have this fantastic idea for a new business. Really, it’s the best idea you’ve had in a long time and you seriously think it can work. You actually think it can go somewhere, so you decide to recruit some friends to allow it to take off. So, you decide to jump in feet first, quit your job, and immerse yourself in your stellar idea. Now, you have a startup company you really want to work. Everyday a new business starts and builds its way from the ground up. From restaurant openings to people launching a fantastic idea, they’ve had to allow play out; a new business starts everyday. Some of them make it and some of them don’t. Many people pour their blood, sweat, time, and energy into the business they want to succeed. It can be hard, frustrating, and heartbreaking when the business doesn’t work, but when it does… you feel proud of yourself to see your dreams come to fruition. From the inside out, you feel like you’ve done something magnificent. 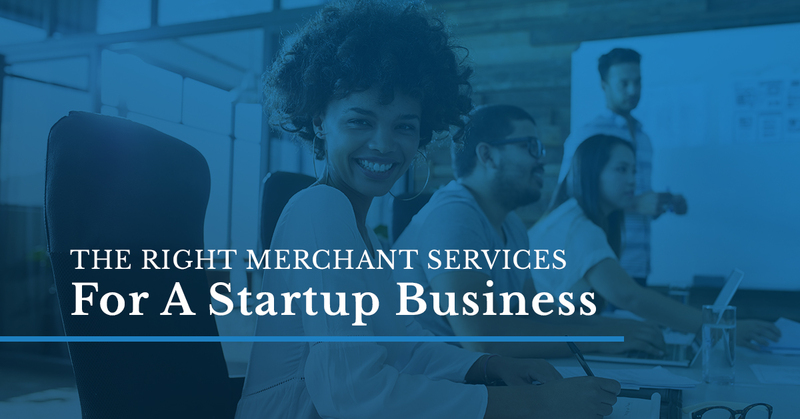 When you begin a startup company, one of the many things you need to consider are merchant services. Merchant services are the resources you need to ensure your customers are able to purchase your goods. Additionally, they allow you to pay your employees on time and at the proper amount. These services are one of the key components to having an efficient business. Not only do you have to worry about finding the right area to set up your business, building a website that’s easy to locate, and figuring out how to get the money you need to launch your products, but you also need merchant services. At Journey Business Solutions, we can offer the help you need to ensure your merchant services are not only easy to use but that they are affordable. Now that you’ve taken your fate into your own hands, you’re going to need three merchant services for your startup business. When it comes to figuring out the best merchant services for you when you have a startup business, you need to consider your business. For instance, if your startup business is all online, then you’re not going to need a store front. If your business is a restaurant, then you’re going to need to figure out how to hire chefs on your limited funds. When it comes to merchant services, you need to figure out how to find the resources you need without going over your budget and learning why these services are crucial to your business. Additionally, you’ll need to stay within your means. Journey Business Solution is aimed for startup companies that are looking for low cost merchant services. The three merchant services below are broad enough to ensure any type of startup business can run smoothly while staying within your budget. The financial aspect of a startup is one of the key components to ensuring the business stays afloat. Without any money, you can’t sustain your business. Loans and Lines Of Credit Services provide you with the answers to your financial woes. If you’re smart when it comes to finances, then you can sustain your business for the long term instead of watching your dreams fall through your fingers. Journey Business Solutions will provide you with the essentials you need to allow your business to flourish and for you to meet your goals. With access to a network of partners in the banking industry who will help you reach your goals, we can help you with finances when you contact us. We’ll help you work toward success even if your credit score isn’t perfect, if you need funding for equipment, or if you need flexibility with your finances. With so much relying on modern technology, it’s essential that you accept credit cards. Credit cards give your customers the ability to pick how to pay and it increases your profits because it allows more business to come your way. When you limit the way people can pay, two things can happen. One, business will be scattered and unstable. Some people will come to your business when they only have cash and others will not purchase anything because you don’t have the accessibility to accept credit cards. Two, people will be put off by your business because you don’t accept credit cards. The best way to ensure people make it to your business and stay shopping at your company is by expanding the amount of paying options so each person who stops by can have the option to get to know your startup. Easy transactions mean a greater chance of building a returning customer base. Payroll services may be a little premature to think about for your business if it’s just you and another person. Payroll services are essential for startup companies once more people are working in the company. Journey Business Solutions provides the best payroll services because we provide assistance with ensuring your payroll services are dependable, efficient, and reliable. After all, there’s nothing worse than angry and unpaid employees. With startup business, we assist with payroll processing services so your business can succeed and you can expand. When you have the proper merchant services, your startup company will be prepared for anything that might be thrown at you. Eliminate disgruntled employees with our payroll services. Ensure you have the finances you need with our Loans and Lines of Credit Services and make your products easy to purchase with credit card services. For more information about Journey Business Solutions, contact us today.